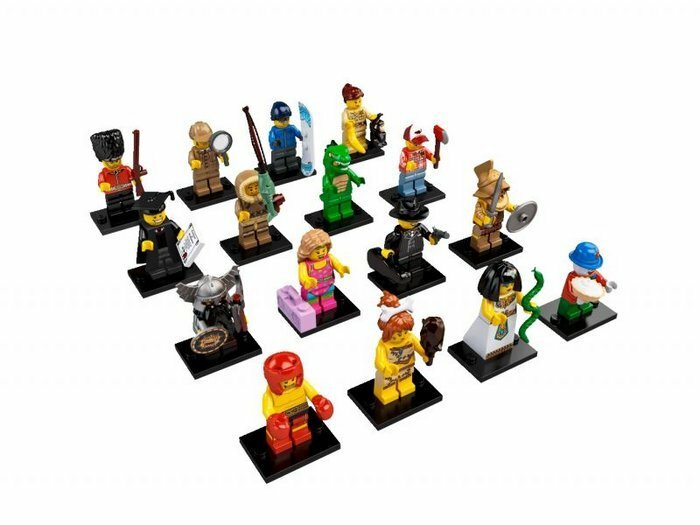 With 16 all-new minifigures, Series 5 adds even more collectable figures to the growing LEGO Minifigure Collection! Please note: all packs will be chosen "blind" to ensure fairness to all customers and to maintain a low price. Also, due to the nature of the product we will not be accepting returns or refunds even on unopened packs. 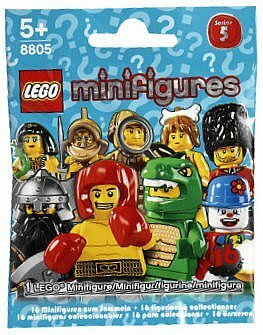 Inspired by movies, sports, history and just everyday life, this collection includes: Fitness Instructor, Snowboarder Guy, Lizard Man, Lumberjack, Gladiator, Small Clown, Egyptian Queen, Evil Dwarf, Boxer, Ice Fisherman, Zoo Keeper, Graduate, Royal Guard, Cave Woman, Detective, and Gangster.